Challenged by scale? 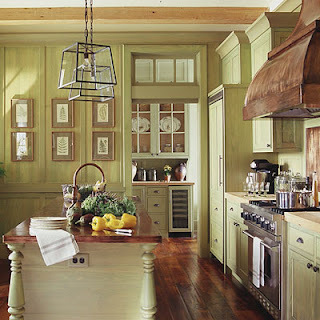 Always choosing paint colors that are too dark or too wishy-washy? Wonder why the chair that looked perfect in the store looks like children's furniture in your living room? 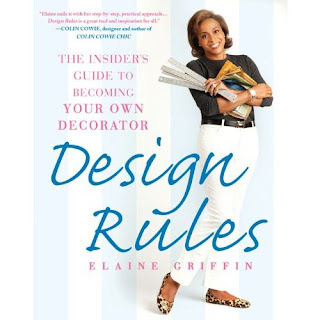 Designer Elaine Griffin knows the theory and has tons of practical experience that she shares in her new handbook Design Rules: The Insider's Guide to Becoming Your Own Decorator. This easy to understand manual will become your go-to source for avoiding costly mistakes or wasting hours of your time. Elaine has you covered; she lets you in on the secrets of design professionals so you can redo every room in your house and get it right FIRST time. Elaine is contributing editor of Elle Décor, she designed for Good Works Makeovers at Oprah’s O at Home magazine and is ranked as one of House Beautiful’s Top 100 American Designers. Her own style is warm and comfortable. On a more personal note her chic, intimate wedding earlier this year was featured in the style section of the New York Times. A Georgia peach who has her own design business in New York, Elaine retains a friendly, folksy, Southern voice in her writing - think Paula Deen with a tape measure and a roll of swatches. We quickly learn that it's all about proportion - and Elaine spells it out in feet and inches. Design Rules comprises chapters on every room in your house, including the basement, each full of notes, helpful tips and rules of thumb. My favorite tip: always take the lamp with you when you go to buy a new shade. As Elaine says "sugar, there are no exceptions to this rule" - that's a lesson I had to learn the hard way! My second favorite tip is one that I'll use very soon: a wall-mounted flat screen TV means you cannot change the layout of your bedroom, so go with a stand-mounted model on a dresser. If, like me, you change the layout of your room every season, you'll be glad you paid attention here! And so to the bonus: The Cool House's very first giveaway. One lucky interweb reader will win a copy of Design Rules, courtesy of Gotham Books/Avery & Penguin Group USA. Just leave a comment detailing the most important thing you've learnt about design and the one that resonates the most will get their own copy of Design Rules: The Insider's Guide to Becoming Your Own Decorator. That's it... Go! *Federal Trade Commission (FTC) Legal disclosure stuff: Gotham Books/Avery & Penguin Group USA asked me to review the book, I did it of my own free will and was not seduced into giving a favorable critique either by the copy they sent me or the knowledge that one of my blog visitors would be the lucky recipient of another copy. I have received neither bucket-loads of cash nor the promise of a lavish trip for my book review. OOhhhh would love this book. Hmm. The one thing I've learned is buy only what you truly love. Wow The most important thing I have learned about design is.. "Do you like it?" or for me, "Is the client happy?" Not everyone had "Dwell" or "House Beautiful" taste. Not to sound like Ms. Moneybags (who I'm not) but my advice is "don't be cheap." The things I most regret all come from times when I tried to save a little money. Obviously we all have limitations but if you're only going to save a little money that won't be noticed in a few months, it's not worth it. If it's something not easily replaced, like a counter top or flooring, bite the bullet and go for what you really want, as long as it's within reason and will add to your home's value. If you're going to scrimp, do it with furniture or lighting, not with doors and windows. You deserve "bucket loads of cash" or somesort of lavish trip - with great food and wine - for perseverence (sp?) if nothing else!!! Hmmm, I usually benefit from design tips, rather than possess them. But, the first thing one should do to make a room look good is to de-clutter and give it a good cleaning. First of all, your pithy disclaimer made me laugh. Since most rooms in my life evolve like a soup of leftovers, my tendency is to reuse as much as possible, shuffling objects around the house at will. But I have followed the same rule of thumb as 'house things'-- de-clutter often, clean when needed. Add modern elements to traditional rooms and add traditional elements to modern rooms. Christmas lights can be year round. And by golly have some fun with your decor-- it's your house after all! I have dreamt of being an interior decorator for years but haven't had the guts to make such an impractical career choice. I learned to think outside the box. For example: Just because they call it a dining room doesn't mean you have to use it as one. Welcome Home: This begs the question: what DO you use your dining room for? This book sounds great. I hadn't heard about it before, so I enjoyed reading your review. I tend to be indecisive and have a hard time committing when it comes to decorating, so the piece of design advice that resonated with me was something I heard a designer say years ago--"Stop thinking about it so much and commit to something. Just go with it. It doesn't have to be perfect, and you can always change it again down the road." I repeat that to myself when I need to pull the trigger and get on with it already! I never knew there were rules!! Perhaps that"s what"s wrong with me!! I must have this book!! DO NOT - I REPEAT - DO NOT - UNDER ANY CIRCUMSTANCES - AND I MEAN ANY - OPEN THE DRAWERS BY THE BED!!!!!! !